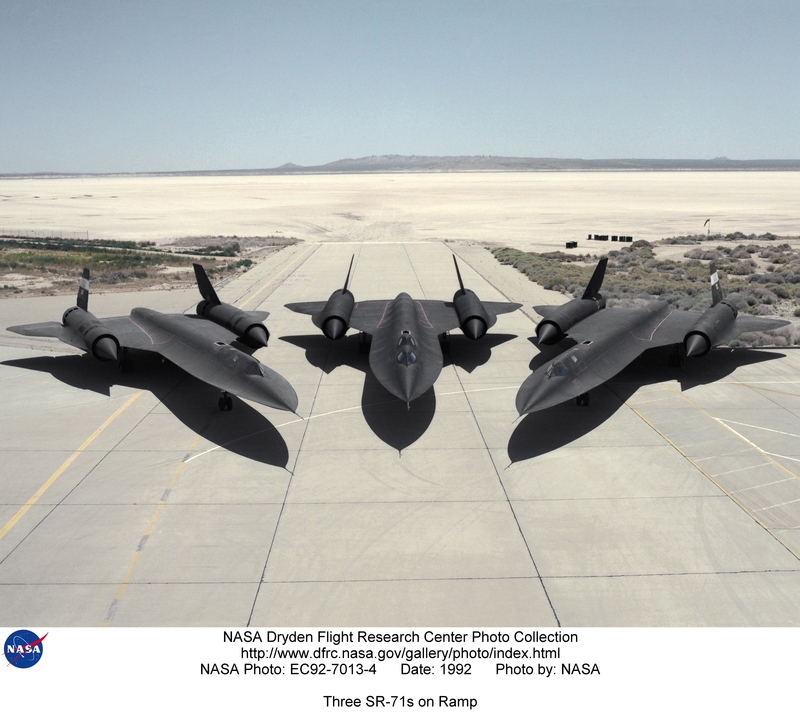 Description: The original trio of SR-71 "Blackbirds" loaned to NASA by the U.S. Air Force for high-speed, high-altitude research line the ramp at the Dryden Flight Research Center, Edwards, California. The three former reconnaissance aircraft, two SR-71 "A" models and one "B" model, can fly more than 2200 mph and at altitudes of over 80,000 feet. This operating environment makes the aircraft excellent platforms to carry out research and experiments in aerodynamics, propulsion, structures, thermal protection materials, atmospheric studies, and sonic boom characterization. One of the "A" models was later returned the Air Force for active duty. It subsequently returned to Dryden. Keywords: SR-71; Dryden Flight Research Center; U.S. Air Force; sonic booms; Jet Propulsion Laboratory; LASRE; YF-12; Dave Lux; Steve Schmidt; Lockheed Skunk Works; Lockheed Martin; Pratt & Whitney; Blackbird; high speed research; Mach 3; supersonic research.